We have warehouse space in the vicinity of docks, rail-yards, Cotton Green and the Airport at Mumbai and outside Octrio limits. As approved warehouse-keepers for the banks, our warehouse receipts are considered good security by the banks and financiers. We specialise in handling and warehousing, a wide range of commodities and cargo, such as, Pharmaceuticals, Garments, Machinery, Chemicals, Tyres, Paper, Yarn, Food Grains and practically every commodity that requires to be warehoused. On behalf of the banks, we take possession of raw cotton, including kapas' (loose cotton) and fully pressed bales in our warehouses and at producing centers. Banks expect us to act as custodians as well as advice them about daily market rates from cotton. Our house as a service organisation is built on trained staff and well laid-down procedures and systems. Though old in age, it is still vibrant and active, ready to adopt to the technological changes taking place in the filed of Warehousing, Logistics, Transport and Communication. We are fully aware of our commitment to our customers and the competitive conditions under which we are working. This enables us to serve as Warehouse Keepers & Cotton Controllers in the most professional manner. We are striving towards excellence in service and have not forgotten our original objectives of diligence, honesty, integrity and sincerity of purpose, which are the hallmarks of our century old reliable organisation. Storage of Non-hazardous and Cotton Merchandise - Our Warehouse Receipts are accepted by Bankers and Financiers as collateral against Advances made on goods pledged or hypothecated. Customers' Bonded Warehouse location and premises approved by Collector of Customs given to us under supervision by Banks. Special arrangements can be made for storage of valuable / hazardous / extra-hazardous goods. Supervision of Warehouses can be undertaken on behalf of Banks/Financiers/Depositors. Facilities for stuffing / destuffing containers or their storage. 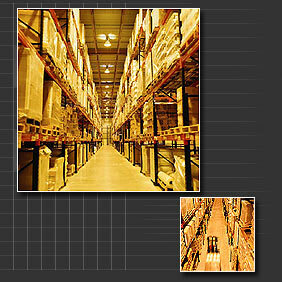 Storage and distribution, deliveries can be arranged. Post -Import, Pre-Export, Local gods of any size, weight, volume can be stored in our warehouse or on open plots. Insurance arranged on customer's instructions.